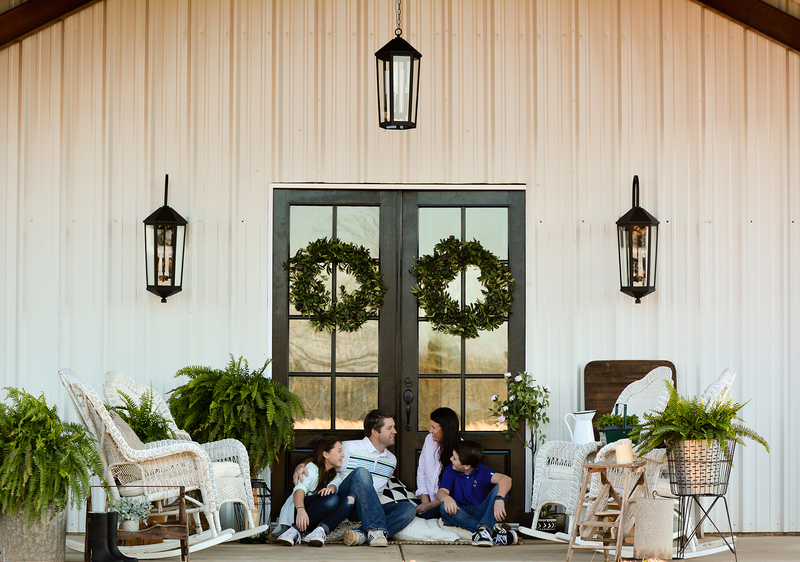 Katie Busenitz of The Rustic Boxwood, and her family enjoying the front porch of their farmhouse build—the 2018 CB Project House. Photo Credit: Sarah Ferguson. 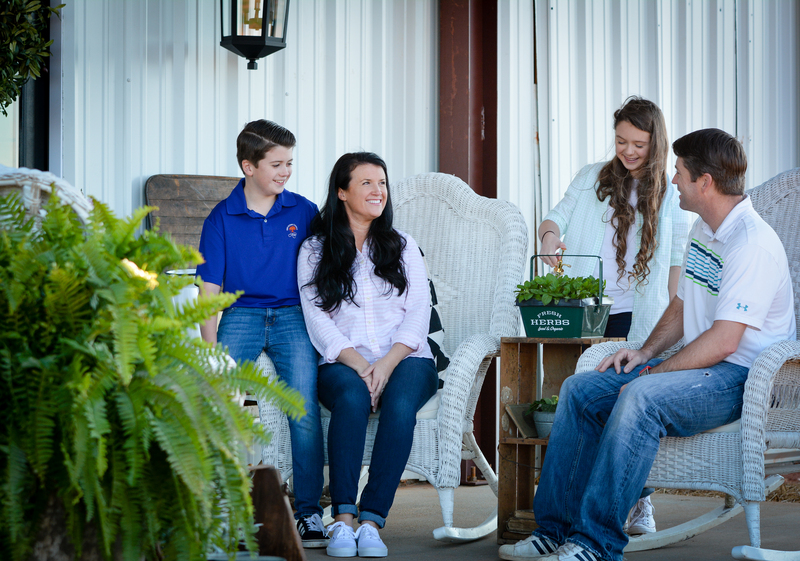 For C+B Project homeowner Katie Busenitz (@therusticboxwood) of The Rustic Boxwood, the front porch of their custom dream home will be more than a “pass through place.” She envisions sitting in her vintage rocking chairs, someday enjoying the view of the orchard of pecan trees the family hopes to plant. 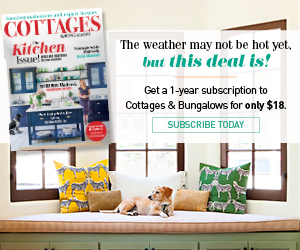 In the meantime, “We’ll definitely spend lots of nights relaxing with family and friends on the front porch,” she tells Cottages + Bungalows editor Jickie Torres in the June issue of the magazine. 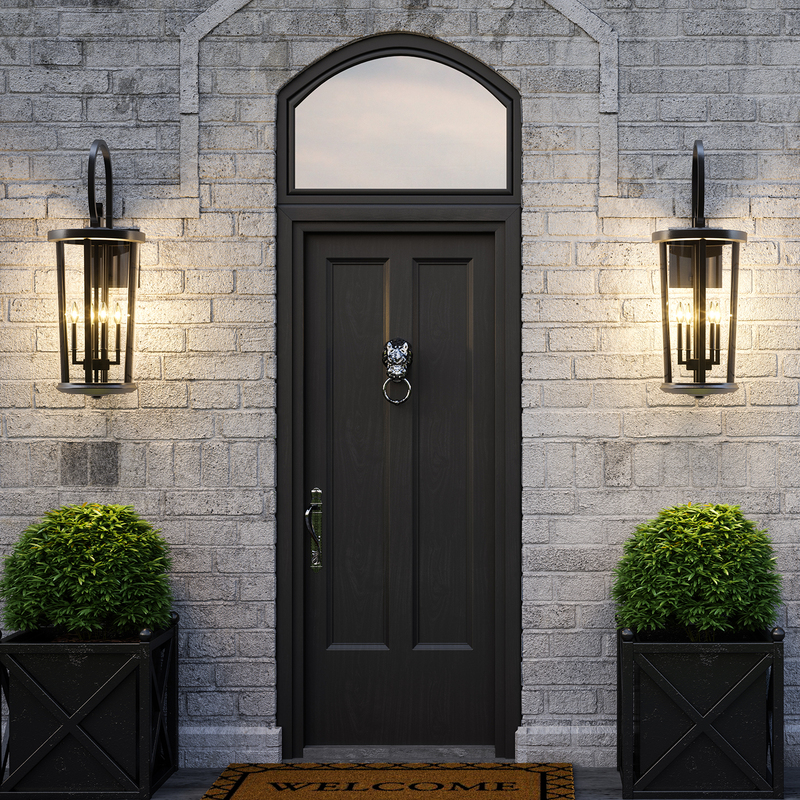 “We’re especially looking forward to sitting in our rockers at night and listening to the beautiful and peaceful sounds of nature.” This is why porch lighting is so important. For their spacious porch, the family chose large front doors to keep with the scale. The doors are painted a high-gloss black, and simple black-framed windows are also in keeping with a modern-farmhouse design. 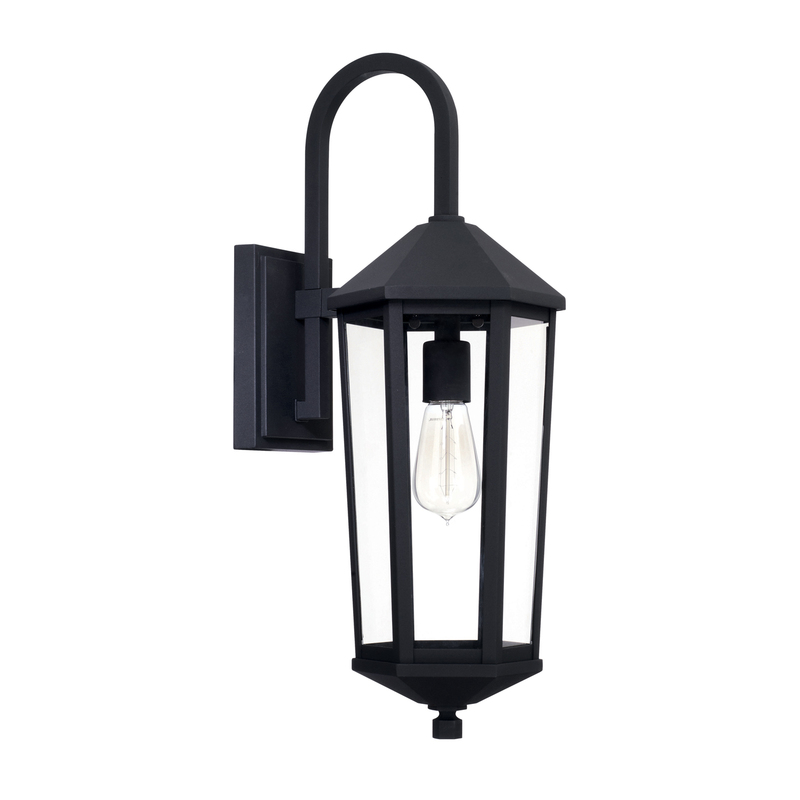 To add statement style, as well as evening functionality, they chose outdoor light fixtures from the Ellsworth Collection by Capital Lighting. These fixtures are made of durable, non-corrosive, rust-resistant, fade-resistant materials and finished in Oiled Bronze or Black. They are different from indoor lighting as they are designed to stand up to the elements such as sun and rain, all year round. When choosing outdoor lighting for your own home, there are several factors to consider. Do your fixtures meet HOA guidelines, if applicable? Have you layered lighting, using various heights? Working with chandeliers, sconces and post lanterns allows you to get just the right ambiance. Also consider whether you would like fixtures that reduce glare and light pollution, in which case opaque shades with downward illumination are a good choice. 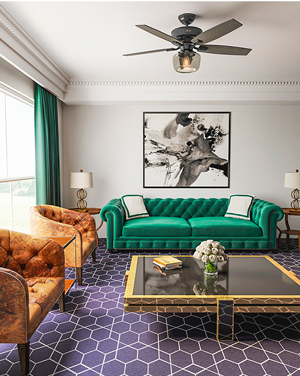 “Placement and the size of the fixture are key,” advises Atlanta-based interior designer/florist, Amanda Lankford, of Amanda Jewel Floral Design (@amandajewelfloraldesign). 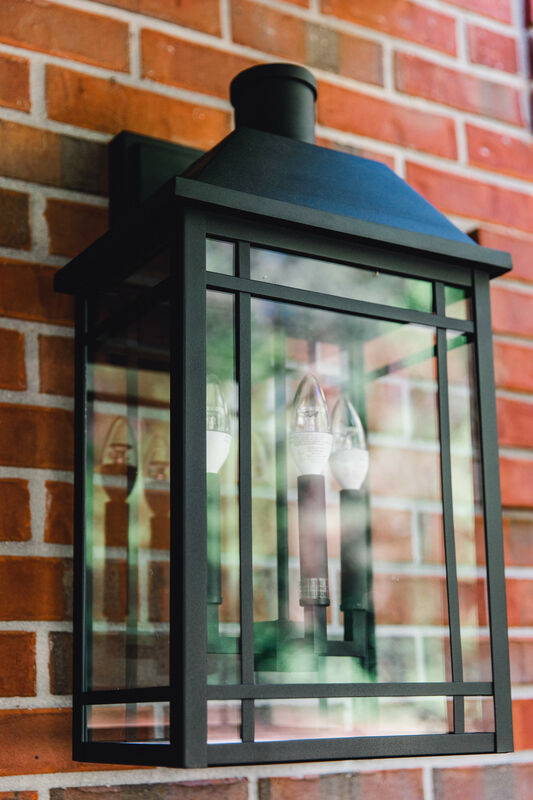 “You want the fixture to complement the house, not overpower it or even look too small.” For her house, she chose the Braden 3-light Outdoor Wall Lantern in Black Finish. Think about geometry and balance. For the Busenitz’s front porch, there’s a triangular shape, and the three lighting fixtures accentuate that with their placement. 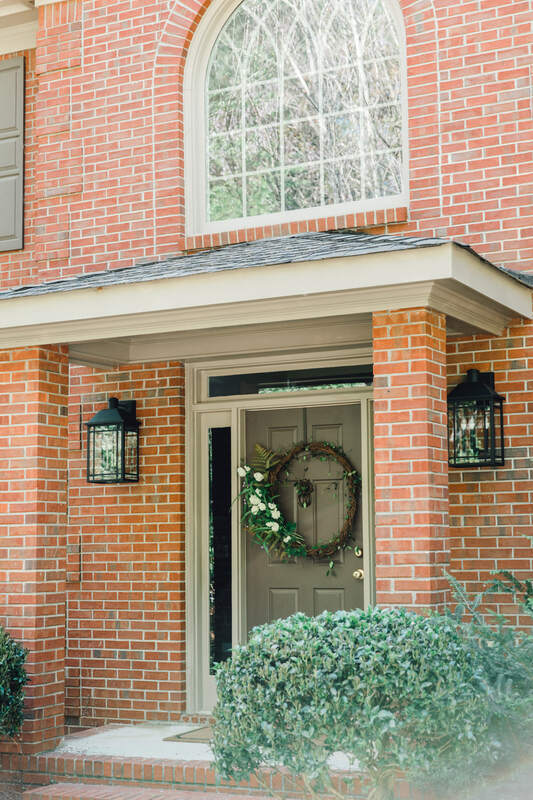 In another example, the Howell creates a stately, yet up-to-date look, at this front entrance. Note how the fixtures’ curves echo the window over the door and the brick arched shape above that, tying everything together in a pleasing visual rhythm. Good lighting is the key to polished curb appeal. 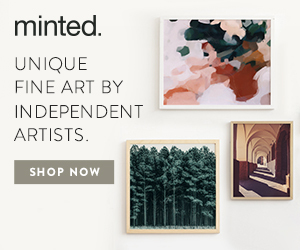 Think symmetry for a no-fail way to give your house a well-edited look. No matter which outdoor lighting style you choose—from sleek and polished, to rustic country, global and boho—using it properly can add to the curb appeal of your home, and make your friends and family feel welcome. 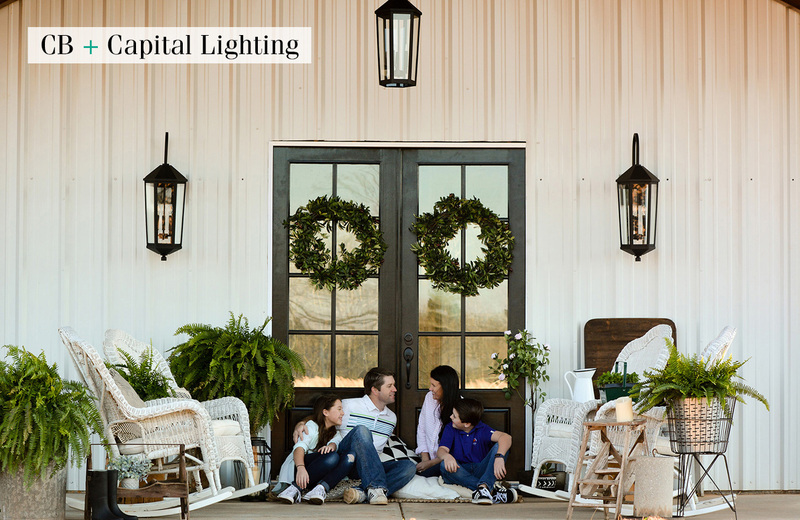 All of the designs used in the C+B Project Home, and many more outdoor options from Capital Lighting, can be seen here.